UPPER EAST SIDE — For many, the phrase “frozen food” conjures images of cardboard-like pizzas and freezer-burned bags of carrots and peas. At a new Upper East Side store, it's the height of French gourmet. 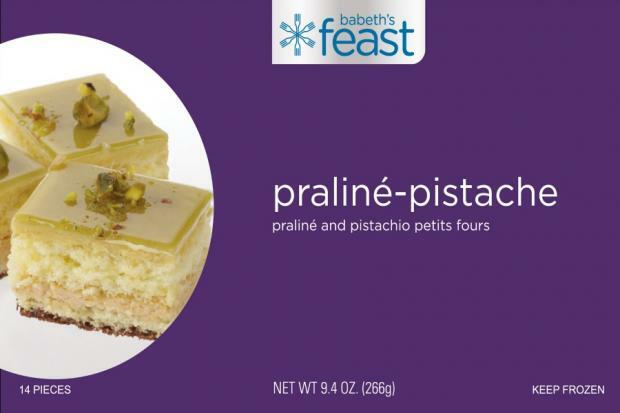 Babeth’s Feast, a partnership between the Crumbs Bake Shop founder and a Le Pain Quotidien investor, will open at 1422 Third Ave. in April and will offer customers almost 350 frozen food items ranging from pre-chopped fresh herbs to fully prepared entrees. The shop is the brainchild of Elisabeth de Kergorlay, a French native and an investor in another European-inspired food venture, Le Pain Quotidien. When she lived in Paris, de Kergorlay relied on frozen foods to make entertaining more convenient. “I would host lavish Sunday buffets with all kinds of dishes from my local frozen food store - quiches, soups, tartares, gratins and the always popular chocolate lava cakes,” de Kergorlay said. When she moved to New York, de Kergorlay noticed a real gap in the market despite the city’s many gourmet shops and high-end grocers. She partnered with the founder of Crumbs Bake Shop, Jason Bauer, to bring the concept of high-end frozen food stateside. Babeth’s Feast will offer frozen foods in ten categories including Hors d’Oeuvres, main courses and sauces, spreads and chopped herbs. There will be classic French dishes such as mini Provencal quiche and Coq au Vin and American favorites including lobster mac & cheese and franks in a blanket. All of the foods are made with high-quality ingredients and flash frozen, a process that helps to preserve taste and nutritional value. Each dish serves between two to six people. Babeth’s products are more expensive than those of many other frozen food lines. However, at about $3.50 per serving for an appetizer and $7 per serving for an entrée, they cost less than the average New York City takeout meal, the store's owners said. When the store opens in April, customers will be able to sample food and watch live cooking demonstrations of popular dishes. The staff will be trained to provide advice on recipes and menu planning. The store will also offer delivery services in the tri-state area. Those outside of the New York area can place orders through Babeth’s website beginning in March. Co-owner Bauer is optimistic that Babeth’s Feast will find a place in the dining routines of busy New Yorkers.